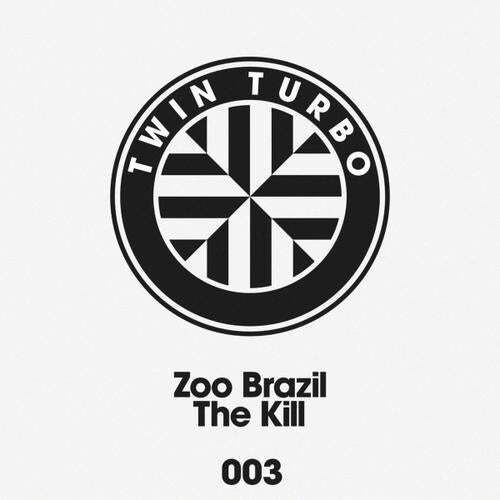 Twin Turbo is proud to continue its rich, weeks-old tradition of digital-only bangers with our third release, "The Kill" by Zoo Brazil. Hold these lovingly crafted MP3s up to your cheek as they unleash the latest from Scandinavian club maestro Zoo Brazil, a foam-for-brains, confetti-cannon anthem straight from Globe Studios in Stockholm. The release also features remixes by "Peanuts Club" veteran Noob and - in a remarkable A&R coup - Zoo Brazil himself. "The Kill" is yet another shining example of the Twin Turbo Ethos: Immediacy, Impatience and Impish Insouciance. Everything we do, we do it all for you.